Prime Minister K P Oli’s media blitz this week taking full credit for a social security scheme for private sector employees was an attempt to shore up his sagging image. But can Nepal’s sagging economy afford this ambitious scheme? 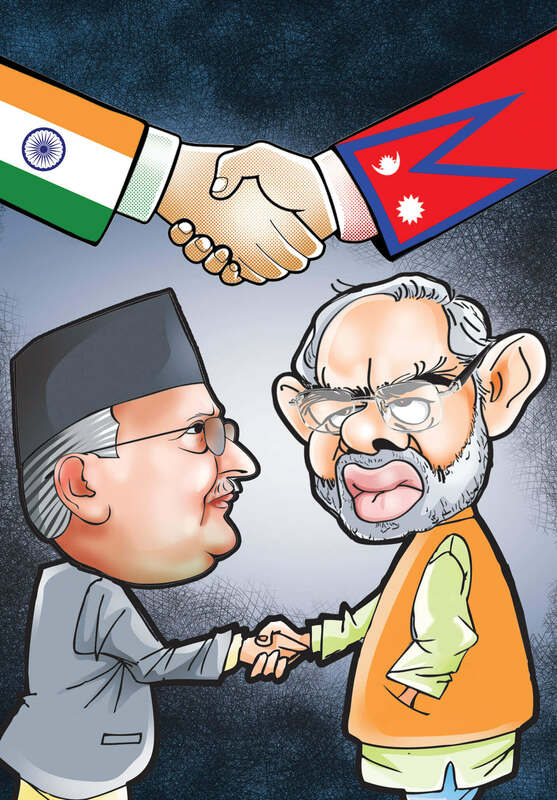 Many across Nepal woke up on Monday morning to see the prime minister’s stern visage staring at them from jacket covers of broadsheets, lamp-posts and street banners. They did not know what hit them. The ads and posters just said that a ‘new era’ had dawned in Nepal, and the government was fulfilling its promise of protecting the working class. 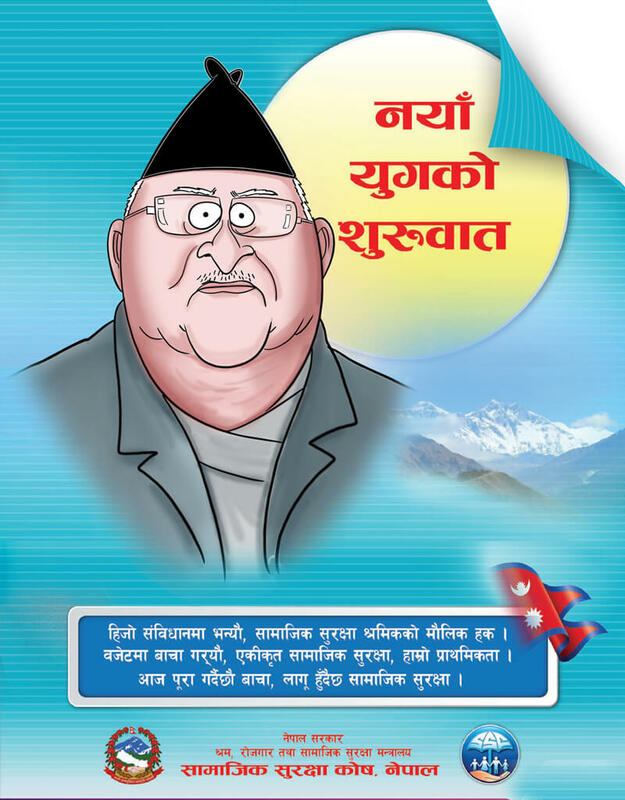 Prime Minister Oli was trying to take credit for an employees’ social security scheme that was designed by previous governments. 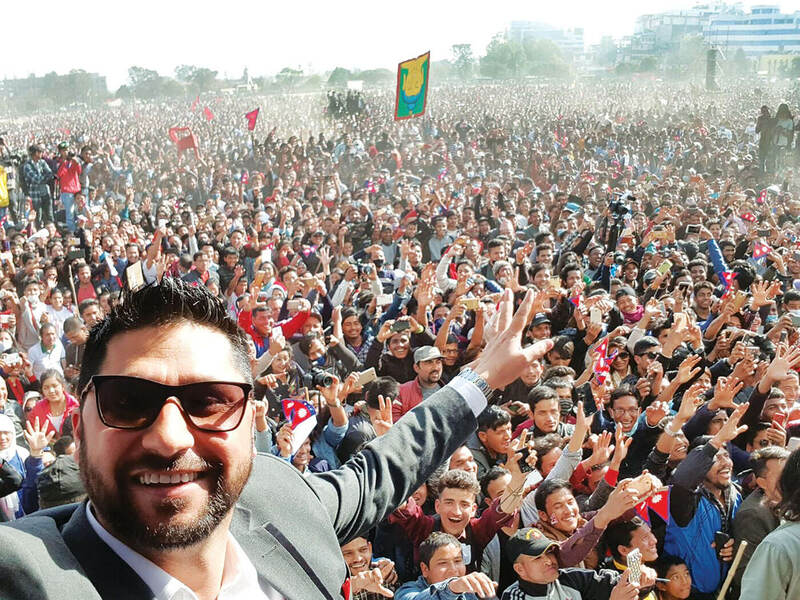 The real reason the Oli government tried to take full credit for initiating the social safety net through such pompous publicity sponsored by private companies may be that he has his eye on the next elections in 2022. But what architects of this campaign don’t seem to realise is that public memory is short. In fact, going by social media backlash against the publicity stunt, most seem to see it as an unseemly attempt to distract the public from unsolved crimes and other failures to keep promises. The are also doubts about whether the new social security scheme will yield a political dividend like earlier allowances for the elderly, single women and the disabled. Analysts say private sector employee pensions may not be a surefire hit because implementation of such a giant scheme is iffy. The plan is to provide social security to private sector employees and reduce the fiscal burden of social security allowances. But economist Bishwo Poudel says it still leaves out millions of Nepalis in the informal sector, there is a risk that it will increase the government’s fiscal liability. “It is an excellent scheme on paper, but we need to see how it will be implemented,” he said. Under the scheme, private sector employers will have to deposit 31% of the basic salary of each employee (11% by workers and 20% by company) into a government-owned Social Security Fund (SSF) which will assign a special number on registration. After depositing money into the SSF for 15 years, private sector employees will be entitled to life-long pensions just like retired government employees. They and family members will be eligible for other facilities like medical expenses. Conditions apply. But only 3.4 million Nepalis are employed by private businesses. They will be covered by the scheme in the first phase, but the much larger number in the informal sector who are in much greater need of social security will be left out. Because of this scheme, employers will now have to pay a little more than what they have been paying for provident fund and gratuity. But it will be a monstrous challenge for the government to bring every private employee into the program.The 2022 elections are too far away, and the obstacles too many for this week’s saturation media bombardment of Nepalis for the Communists to exact a political payback.